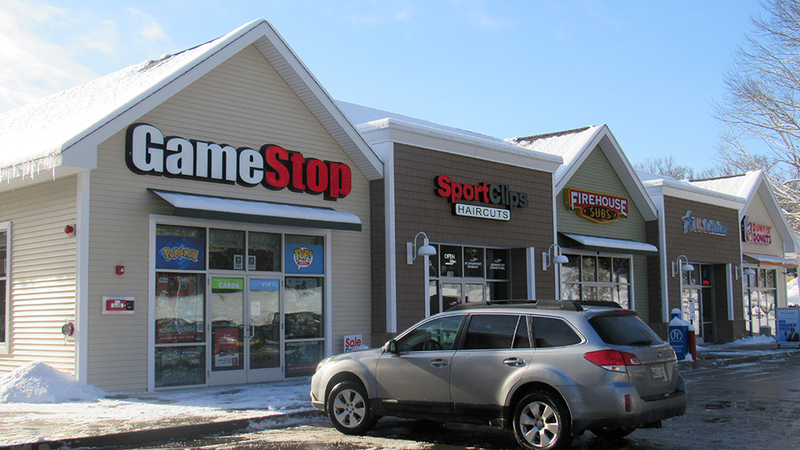 Biddeford, ME Horvath & Tremblay completed the sale of seven retail properties for total sales of $29.8 million. Recent transactions include the sale of two Citizens Banks, Walgreens, Pizza Hut, Ruby Tuesdays, Family Dollar and a retail center anchored by Five Guys & Mattress Firm. Bob Horvath and Todd Tremblay completed the sale of Citizens Bank located at the “Airport Rotary” in Hyannis, Mass. The newly constructed Citizens Bank has an initial 15-year lease term plus 3 five-year option periods. Horvath and Tremblay exclusively represented the seller and procured the buyer to close the property for a sale price of $3.375 million. Horvath, Peter Butler and Tremblay also sold a Citizens Bank located in Smithfield, R.I. The newly constructed Citizens Bank was a relocation from across the street. The initial lease terms were for 15 years, with 3 five-year options. The property sold for $4.2 million. Horvath and Tremblay sold a Family Dollar in Providence, R.I. for $1.643 million. The newly built property has an initial 10-year team plus 2 five-year options with 12.5 % increases every 5 years in the base term and options. Tremblay and Brad Canova represented the buyer in the acquisition of newly constructed retail center located in Biddeford. The retail center included a Mattress Firm, Five Guys, Game Stop, Sports Clips, Firehouse Subs, US Cellular, and Dunkin Donuts. The property closed at a sale price of $6.675 million. Horvath, Butler and Tremblay sold a newly constructed Walgreens located in Ewing, N.J. The initial term was for 20 years with 50 one-year options. The property sold for $10.65 million. Horvath, Tremblay and Jeremy Black sold a Pizza Hut in Kingston, N.Y. for $675,000. The Pizza Hut had 6.5 years remining of term with 1 five-year option. RJ Tuller, Horvath and Tremblay also sold a Ruby Tuesdays in Jacksonville, FL for $2.59 million.